I love the “Pirates Of The Caribbean” series of movies. 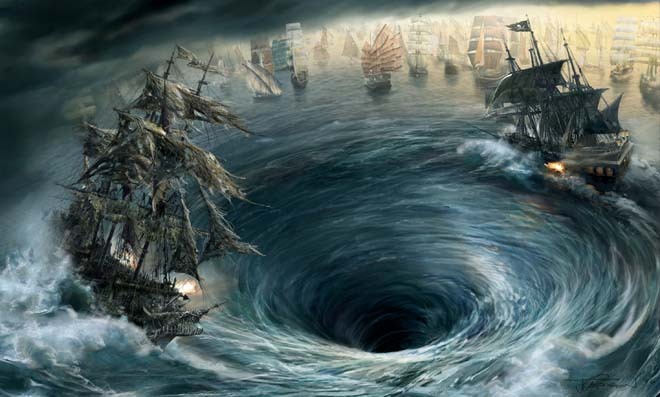 And there is not better picture to describe the way your life gets taken from your control, than when the two main ships were battling against each other, and dealing with the vortex. This is exactly how it felt 30 years ago, staring down the diagnosis of Hodgkin’s Lymphoma, recovering from major surgery to “stage” my cancer, and the road that was going to lead ahead. 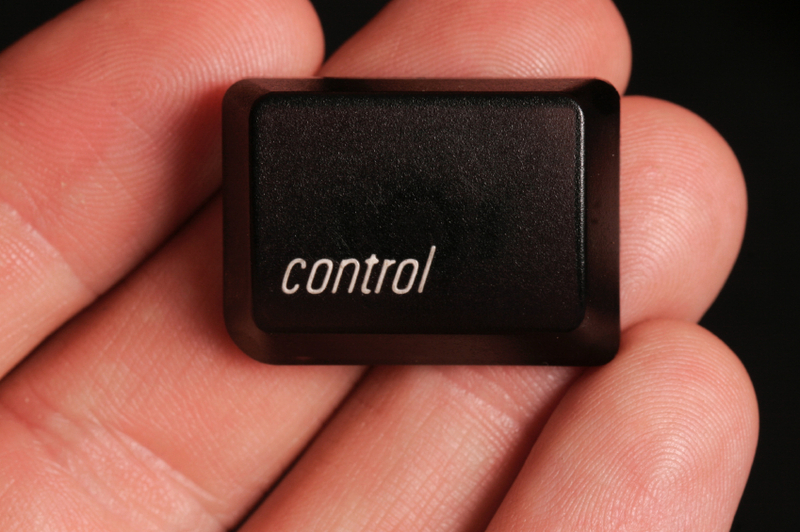 Under normal circumstances, we have our own control in the palm of our hands. Sure, our employers and teachers can take some of that control away from us, because, well, it is an authority thing, and we have to do what they say in order to get paid or to achieve our diploma or degree. But when we get sick, seriously ill, it is the realization that we lose all control, to our illness if it is serious enough. Sure, we have a say in how we get treated, but ultimately, it is the doctor calling the shots. Even the illness and treatments (along with side effects) control how we get through each day, if we have enough stamina to go for a nice afternoon walk, or barely enough to get a drink from the refrigerator. The “staging laparotomy” for my Hodgkin’s did something to me that nothing had ever been able to make me do before, miss work. Up until that point, I had never missed one full day of work. Recovering from this surgery was going to mean I would miss an entire month. That was not the only loss of control that I had felt. At home, I was dealing with a new issue, being cared for, and being cared about. I was not prepared for the “overboard” attention that I was receiving since my diagnosis. It was overwhelming. So much so, that instead of returning home from the hospital, I made the decision to “hide” away from everyone, staying at the home of my future in-laws. I knew there that I would have quiet, able to regain my focus on what was ahead, able to get things back under my control. Or so I thought. This is an actual picture of my abdominal scar from the laparotomy. Looks pretty neat and healed now. But back in January of 1989, it did not look like this. You see, one of the procedures during this laparotomy, unknown at the time, would leave me unable to fight infections as my spleen had been removed. For a person with a normally functioning spleen, though the situation would be possible, it would be less likely, and less dangerous. Only decades later did medicine realize how important the spleen actually was to the body to fight disease and infections. In any case, a few days convalescing at my future in-laws, my scar, still fresh, had become infected. Just when I thought I was getting my life back under control, my body decided otherwise. But in my need for control, I took myself away from those responsible for my care, more than a half hour away. The house was empty, as my fiance and her parents were at work. I clearly could not drive. I had no choice. I had to call my aunt. She was retired and in her early 70’s. But she was the only one that was going to be able to get me to the doctor’s office, who wanted to see me right away. I had not choice. The infection was already bad enough, and could possibly go septic, something that would have the potential to kill me. Unfortunately, it was not soon I realized, that the infection was not the only danger I was facing. 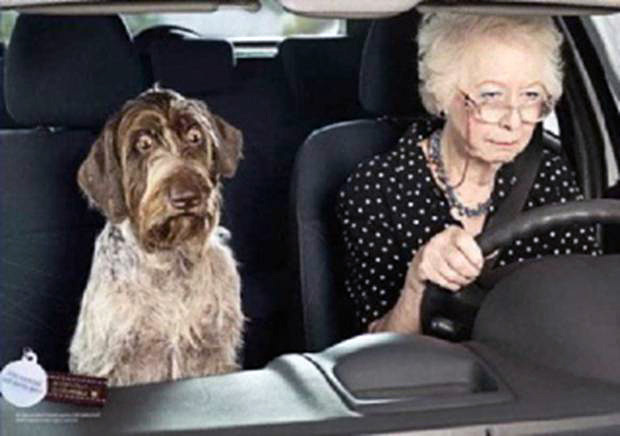 Now, I want to make perfectly clear, I am not making fun of any elderly drivers or making any commentary on if they should be driving or not. But I will say without certainty, the infection was not the immediate danger to my health. Oh, how I wish I could have just driven myself to the doctor’s office. 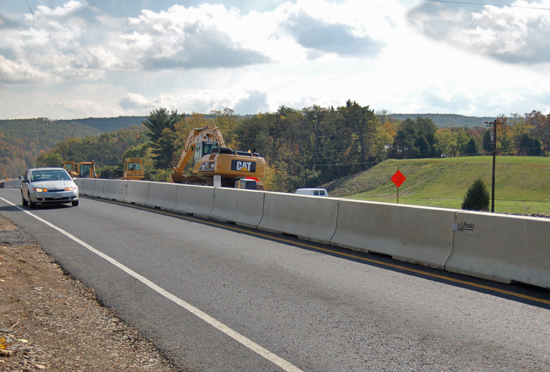 At some point, most all of us have had an experience driving along side, or in between concrete barriers while highway construction or repairs were being made. Well, at the time, Rt. 309 was undergoing a major construction project, creating a new interstate. What it meant was, while the first five mile ride was tolerable, as we approached the construction area, I now was afraid of something worse than cancer, my Aunt’s driving. As the road shrank from three lanes to one, my Aunt brought her car to a complete stop. This was to allow ALL other vehicles behind her, to enter the “cattle chute” before she did. The reason why became obvious as she soon accelerated to 10 miles per hour, the pace she would keep for the remaining 10 miles on the highway, nervous of hitting either side of her car against the concrete barriers. I eventually did make it to the doctor’s office, without any additional medical needs. Though clearly I had developed a case of “white knuckles.” The treatment of my incision did not take long enough to allow my nerves to settle from the journey there, before heading back. I will spare the gory details of what was done, though even for someone squeamish like me, it was freakishly interesting to watch how he treated the wound. On the way back to the house, it hit me. I have no control of my life anymore. I have a wedding in five months. Nobody cares except for me and my fiance. I have bills to be paid. Nobody cares. Be here on this day. You need to do this. Cancer was now completely controlling my life. Even as I recovered from this surgery, doing nothing, no work, no driving, nothing, even the infection of my incision controlled me. The following week I would meet with a radiation oncologist who would discuss with me, the prospects of radiation therapy. And it would have to begin soon. I had not control in any of my life anymore.